With Invitation Code: The manager of For The Love of Dogs, LLC may create a Client Profile for you prior to your registration. If this is the case, you will receive an "Account Invitation" email, including a link to the "New Client Account Registration" page, as well as an Invitation Code. On the Account Registration page, you'll have the opportunity to choose a username and password and enter the Invitation Code to create a login connected to your existing profile. Policy Agreement: When you register, you may be asked to read and agree to policies outlined by the manager. A digital signature is required to indicate acceptance of these policies. If you have already registered you can use the login page to login. Simply enter your username (not your email address) and password. At your first login, a notification may appear asking you to fill out the "My Info" form before requesting services. Click the link in the "Notifications" box, or access the form by going to the Petcare > My Info page. Complete this form by filling in your personal contact information, additional and emergency contacts, and information regarding your home and your pet's veterinarian. The more information you provide, the better equipped your sitter will be to take great care of your pet! Once you have completed the form, click to update your account. 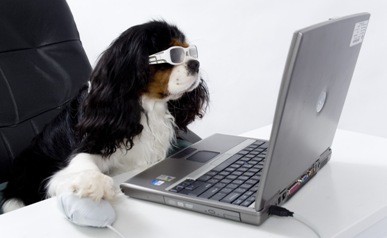 You may update your info at any time by going to the Petcare tab and selecting "My Info." After completing the "My Info" form, the next step is to add your pet(s) to your account. To add a pet, either click on the link in the "Notifications" box, or go to the Petcare > My Pets page. Here, you can create a detailed profile for your pet, with information regarding pet behavior, feeding, care routines, medical concerns, and more. You may also choose to upload a photo to your pet's profile. Click to save the updated profile. If you have more than one pet, click the "Add more when done" checkbox before saving to go immediately to a new pet profile form. You may make changes or updates to your pet(s)'s profile at any time by going to the Petcare > My Pets page, selecting the pet whose info you'd like to update, and clicking the button. To request services, visit the Scheduling > My Schedule page and click the button. If all of your pets will be receiving care, select the "All Pets." If the service is for a specific pet, choose this pet's name from the list in the drop-down menu. Single Day: To request service for a single day, select "Single," and choose the date, type, and timing of the service. You may also enter any other relevant information you'd like in the "Notes" box. If you'd like to schedule more than one service in a day - for example, an afternoon walk and a dinner visit - click and specify the details for the additional service. When you're done, click . If you'd like to continue requesting further services, click the "Add more when done" checkbox. Ongoing: Ongoing services are automatically generated by the system on a continuing basis and have no end date. If you would like to set a consistent weekly schedule for services, then the "Ongoing" option may be right for you. To schedule ongoing services, use the "Ongoing" Schedule Type and enter the date when you would like services to begin. Next, as with the "Multiple Days" option, you may specify a pattern for the services, as well as service types and times. If you know that you will not need services on specific dates within the automatically generated "ongoing" period, you may exclude these from your schedule by clicking and selecting the days when services will not be required. When you have finished requesting services, click . You may view your schedule at any time by visiting the Scheduling > My Schedule page. Status Colors: By viewing the schedule page you can check on the status for requested services. When you first request a service, the service box will be gray and marked as "Requested." Once the service has been accepted, the box will be yellow. Confirmed services appear in green, and completed past services appear in dark gray. Making Changes: While services are still in the "Requested" state you may edit them. Once they have been accepted, you will need to contact For The Love of Dogs, LLC directly to make changes. To cancel services after they have been accepted, read the instructions below. To add a note to a service, click the button within the box for the service you'd like to update. Once you have written your note, click . The note will then be visible on the My Schedule calendar. The manager will also receive an email notification that you have added a note. With the Pet Care Journal feature, your pet sitter can send you a complete rundown of their visits with your pets, including basic details - poop, pee, medication, meal - as well as more in-depth notes on the visit and even fun photos of your pet. When a sitter has created a journal for a visit, you will receive a notification email with a link to view the new journal. To request a cancellation, click the button for the service you'd like to cancel. In the pop-up window that appears, you will have the opportunity to write a note explaining the cancellation. Finish the request by clicking the button. Your cancellation request will then be emailed to the manager, who will decide whether or not to approve the cancellation.